Email gives you an effective and convenient way to nurture your leads until they’re ready to do business. 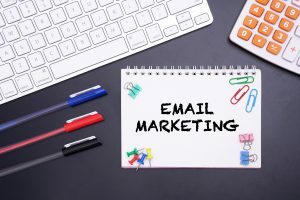 While there are dozens of ways to go about email lead generation, a few methods work particularly well in the construction industry. A weekly, bi-weekly or even monthly newsletter lets you stay in contact, demonstrate your expertise, and build trust and rapport. To really reel in leads with your newsletter, you need to provide information that benefits them in an immediate, tangible way. Plan your content around solving the problems your ideal clients face and keeping them up to date on issues critical to their success. To attract more signups, give your newsletter an appealing title, such as “Commercial Real Estate Insider” or “Condo Investment Advisor.” Create a page to “sell” your visitors on the benefits of signing up and add eye-catching signup forms to the bottom of every blog post. Gated content is content, such as reports, videos or tools, which your visitor can access only after giving you the lead information you want. It might be a set of helpful templates they can download in exchange for their name and email or a white paper they can access after answering a few lead qualification questions. If the content solves an urgent problem or offers valuable, hard-to-find information, your visitors will be happy to pass along their contact information for access. Don’t gate all your good content, though. Freely accessible high-quality content shows your visitors what you’re capable of, which gives them the confidence to sign up for more. Getting your prospects and clients to pass your content on to people they know is a more effective method of email lead generation than hunting for leads online yourself. To encourage this, at the end of your newsletters, free reports, and other emailed content, directly ask your reader to share the material. You can take this a step further by including social media buttons and “tweetable” quotes in your emails. For more insights on effective email lead generation, contact Construction Monitor.